Austin Horton of Newnan, GA., has all but clinched the title and rookie of the year but the battle for the second spot will be on as Tristan Sealy of Moultrie, GA., Eric Hickerson of Linden, TN., T J Reaid of Acworth, GA., and Brad Skinner of Spring Hill, TN., all could change positions in the final race of the season. All of these drivers are expected to be in action along with many more drivers from across the southeast including Riley Hickman, Josh Putnam, Matt Perry, Ray McElhenney, Todd Morrow, Jason Welshan, Michael Page, Jason Hiett, Billy Franklin just to name a few. Local Talladega drivers that will also be in action include Dallas Cooper, Tim Roszell, Terry Smith, Douglas Stewart, Josh Adkins, Buddy George and Tim Busha. 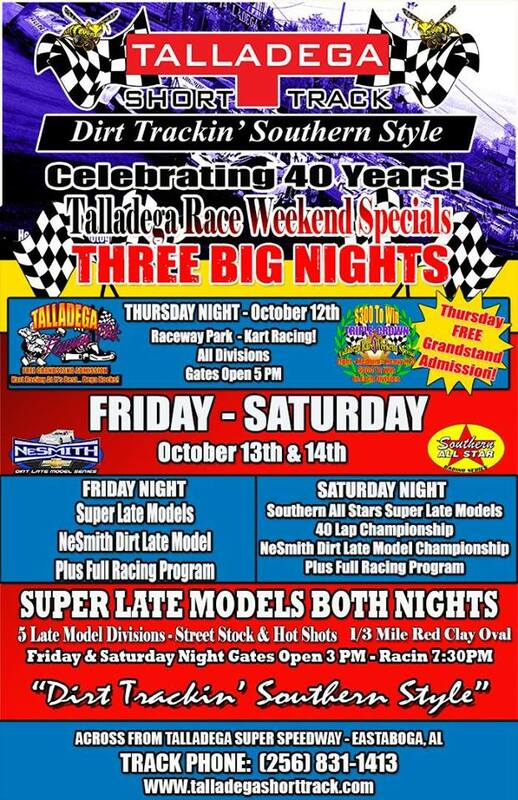 Friday at Talladega Short Track there will be a full racing program along with a $2,000 to win super late model event, also on the event weekend calendar the Nesmith Crate Series will be in action both night. 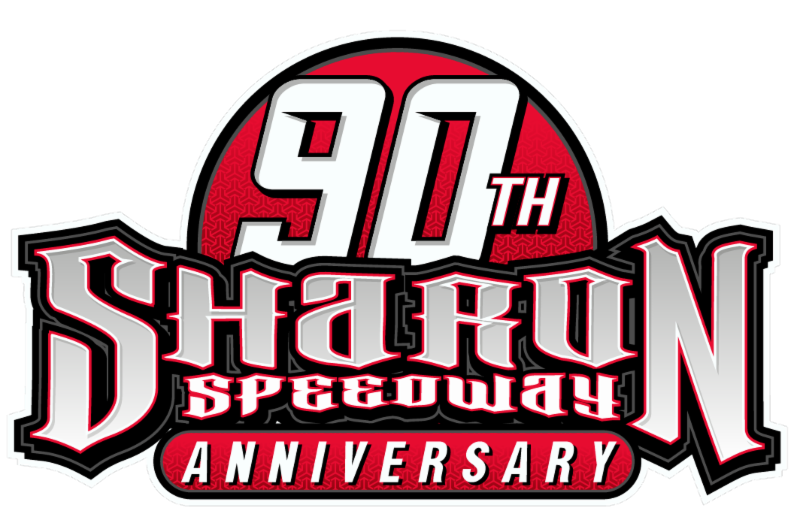 Hot laps will get underway Saturday at 6 pm.